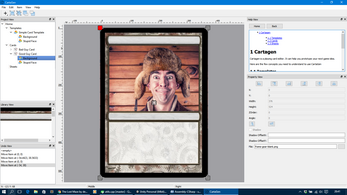 Cartagen is a playing card editor. It can help you prototype your next game idea. CartaGen is still in a pre-alpha stage but you can already use it (at your own risk :-)) and help me to improve it and find bugs.